'Streets Of Port-Au-Prince Are In Flames' : The Two-Way Furious supporters of eliminated candidates set fires and put up barricades in the streets of Haiti's capital after officials announced that Jude Celestin and former first lady Mirlande Manigat would advance to a runoff in presidential elections. 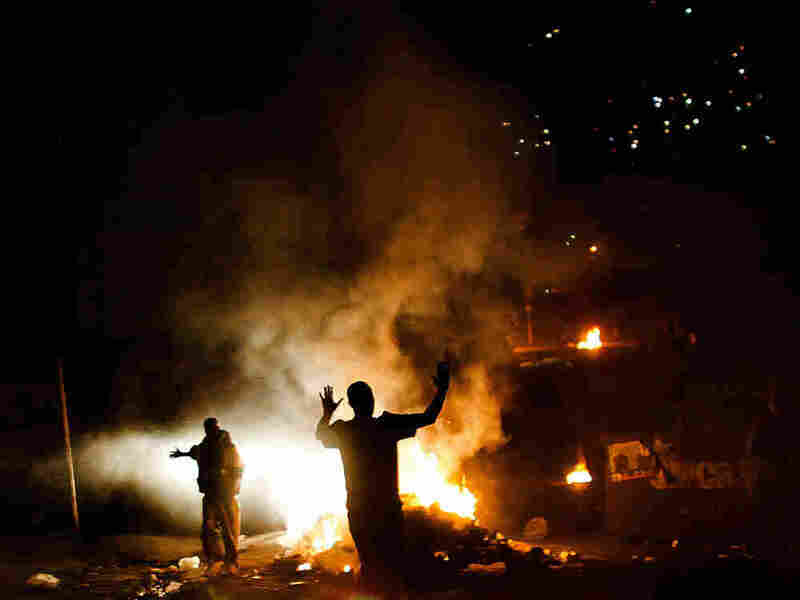 Fires also burned overnight up and down the streets of Petionville, outside the capital Port-au-Prince. Shots can be heard in the background as NPR's Jason Beaubien reported overnight from Port-au-Prince that the Haitian capital's streets were aflame. Fires are still smoldering this morning, Jason has since reported. "Furious supporters of eliminated candidates set fires and put up barricades in the streets of Haiti's capital after officials announced that government protege Jude Celestin and former first lady Mirlande Manigat would advance to a runoff in presidential elections." The Miami Herald reports that "with concerns of more violence escalating, the international community was scheduled to meet Wednesday morning. The mood remained tense Wednesday and some streets throughout the capital were impassable because of barricades erected Tuesday night." Many of those angered by the runoff announcement are supporters of Haitian musician Michel "Sweet Micky" Martelly. As the Herald notes: "Manigat, a longtime opposition leader, received 31.37 percent of the vote in Haiti's chaotic and highly contested Nov. 28 election; Celestin, former head of the government road building agency, 22.48 percent, and Martelly received 21.84 percent, election officials said."